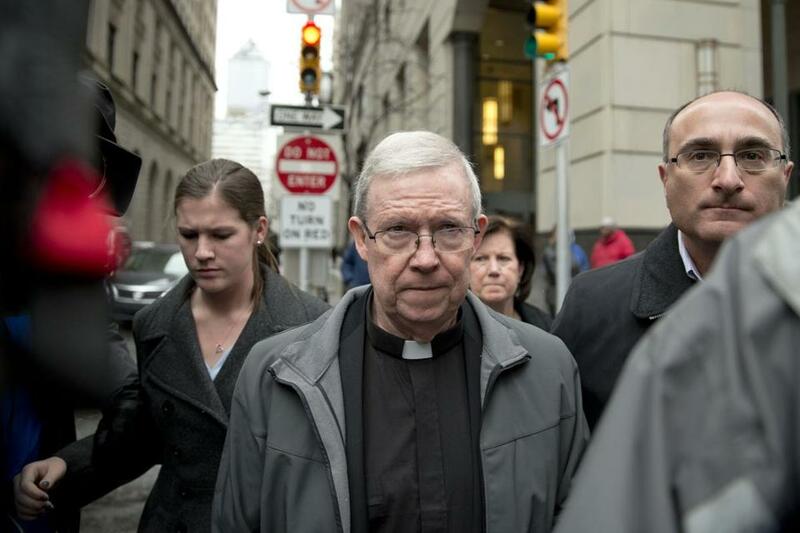 Monsignor William Lynn, a former church official jailed for his handling of priest sexual-abuse complaints, emerged from a bail hearing in Philadelphia in 2014. When he visits the United States this week, Pope Francis is likely to repeat his acclaimed vow of “zero tolerance” for clergy who sexually abuse minors. For most Americans, this will have a reassuring ring. We assume we know what the pope means — that the global Catholic Church now adheres to the same “one strike and you’re out” policy that, at least in theory, has bound all US bishops since 2002. That rule says that clergy guilty of “even a single act” of sexual abuse will be “removed permanently” from ministry. But this isn’t what the pope is saying. The troubling fact is that zero tolerance still is not compulsory in the global Catholic Church. It exists in the United States only because of the public outrage that engulfed American bishops in 2002, following revelations that they had kept child molesters in ministry. They obtained special permission from the Vatican to adopt a tougher measure. Outside the United States, however, bishops follow the church’s universal law, which gives them — and guilty clerics — plenty of wiggle room. Priests who molest minors are to receive “just penalties,” which can be as mild as a warning. This guideline sounds like zero tolerance, but it’s not. It allows a bishop to retain a guilty priest if he or the Vatican decides that the priest has reformed and will not trigger negative publicity. The Vatican’s continued laxness toward abusive priests is playing out tragically around the world today — especially in countries with weak reporting laws. That’s because another church law helps the priest’s identity stay secret: Church officials need not report child abuse unless local secular law requires it. The result is that Catholic officials in many countries still give second chances to child molesters, with the Vatican’s permission. In Argentina, Francis’ homeland, Catholic bishops are bound by neither zero tolerance nor, in most cases, mandatory reporting laws. In our recent research, we easily located several publicly accused priests still in ministry in Argentina, including a priest in the La Plata archdiocese who has been accused by more than 15 victims in the past two years. In a 2012 interview, Cardinal Antonio Luis Tagle, the popular Manila archbishop who is close to Pope Francis, admitted that zero tolerance was “still being debated” among his fellow bishops. “We’ve had cases in the past . . . in which some priests who had offended were given a second chance and turned out to be very good priests,” Tagle said. Clearly, when an institution as powerful and ubiquitous as the Catholic Church has an official policy of retaining child molesters under certain circumstances, we must keep working for change. At minimum, Pope Francis must enact real zero tolerance. His reform should correct the grave flaws of the US church’s version — weaknesses demonstrated by recent clergy abuse cases in Newark, Kansas City, Mo., and the Twin Cities. But even a weak version of zero tolerance makes children safer. The rule has “made it harder for bishops to find excuses to keep a wayward priest in ministry,” observed Nicholas Cafardi, a canon and civil lawyer who chaired the US bishops’ National Review Board for the Protection of Children and Youth. We also should exhort Pope Francis’ most trusted adviser on the abuse crisis, Boston’s Cardinal Sean O’Malley, to advocate for a zero tolerance law. He heads the Pontifical Commission for the Protection of Minors, which is charged with recommending best practices for responding to abuse. In the meantime, this otherwise forthright pope should acknowledge the gap between his promise and his policy. “There is absolutely no place in ministry for those who abuse minors,” he said this February. Until church law is changed, this is not true. Anne Barrett Doyle is codirector of BishopAccountability.org, which researches and documents the abuse crisis in the Catholic Church.